The Low-Down: If An Algorthim Draws Lines On a Map, Is That the Same As Surveying Land? If An Algorthim Draws Lines On a Map, Is That the Same As Surveying Land? Depends what the courts say in the jurisdiction where the lines are drawn. When does drawing a digital line on a satellite map cross an ethereal threshold into the centuries-old practice of licensed land surveying? This is the existential question now before a Mississippi state court. Since 2014, Vizaline, a startup based in Madison, Mississippi, has provided this very specific service to local banks: drawing polygons on satellite photos. Why would banks want this? Many banks lend money to facilitate real-estate acquisition, and, in this way, the bank can gain a better sense of precisely where this land is in relation to other property. But Mississippi’s Board of Licensure for Professional Engineers and Surveyors says that it should be the state entity solely responsible for land surveying. The board sued Vizaline in September 2017, alleging that Vizaline was in violation of state laws that require that surveyors have a proper license to do so. Further, the board asked the court to force the company to pay back all of the money it had earned in the state and compel it to shut down. This week, Vizaline countersued the members of the board, saying that what it does is not surveying, and so the law does not apply. Such a legal battle is "exciting," according to H. Jefferson Powell, a law professor and the director of the First Amendment Clinic at Duke University School of Law. "We are now in a period where technological and social change—satellite photography here, but many other developments and above all the Internet—are going to force the courts and the rest of us to think hard about how to preserve and carry forward the Constitution’s commitment to freedom of speech in novel and sometimes confusing circumstances," he emailed Ars. "That is exciting… and of course the flip side of excitement in the law is anxiety." Vizaline, a six-person company, is being represented by the Institute for Justice, self-described as the "nation's only libertarian, civil liberties, public interest law firm." Paul Avelar, one of the IJ attorneys involved in the case, told Ars that Vizaline should not need the government's permission simply to draw lines on a map. He says that this tactic amounted to "protectionism." "It is expression of data and information to generate new data and information," Avelar told Ars. 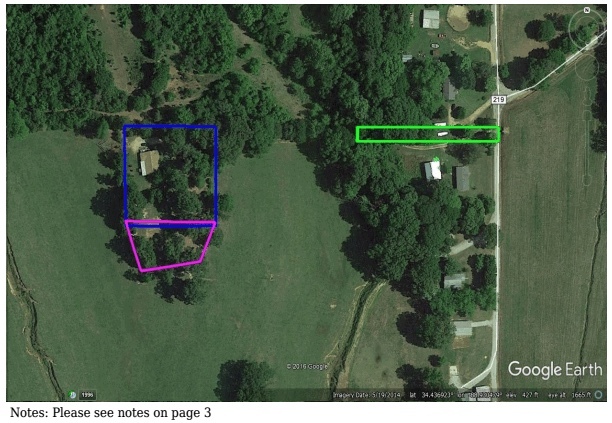 Traditional land registry and surveying information uses a set of phraseology known as "metes and bounds"—a style of formalized English that attempts to use physical markers to define a piece of land. Wikipedia gives this example: "beginning with a corner at the intersection of two stone walls near an apple tree on the north side of Muddy Creek road one mile above the junction of Muddy and Indian Creeks, north for 150 rods to the end of the stone wall bordering the road, then northwest along a line to a large standing rock on the corner of the property now or formerly belonging to John Smith, thence west 150 rods to the corner of a barn near a large oak tree, thence south to Muddy Creek road, thence down the side of the creek road to the starting point." Vizaline takes "metes and bounds" English (like the paragraph above) and uses a computer program to simply draw a polygon on a map. Clay Calvert, a law professor at the University of Florida and the director of the Marion B. Brechner First Amendment Project, told Ars that this was a "great test case" as to whether such a state law fell squarely under normal regulations or whether this touches the First Amendment, "in which case Mississippi will have a much harder time defending its licensing system." Similarly, David Snyder, the executive director of the First Amendment Coalition, said that the case will likely turn on the question of whether Vizaline is or is not engaged in surveying under current state law. "There's little question that the government is allowed to require certain professionals to obtain a license to practice their trade and that those who do not meet the licensing requirements but nonetheless practice that trade may be ordered to stop doing so," he emailed Ars. "Doctors, lawyers, engineers, surveyors—all have to get licenses from the state." 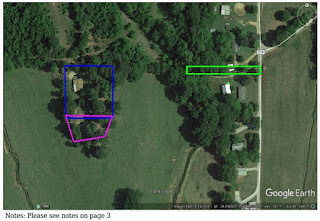 But, as he noted, if the Mississippi courts ultimately find that Vizaline's business practices are not surveying, "then I think the surveying regulations as applied here would probably violate the First Amendment." James Bobo—the Mississippi special assistant attorney general who brought the case against Vizaline—did not respond to Ars' request for comment.